kindle in the philippinoes | enjoy life. love. laugh. cry. have a blast. live, truly live! 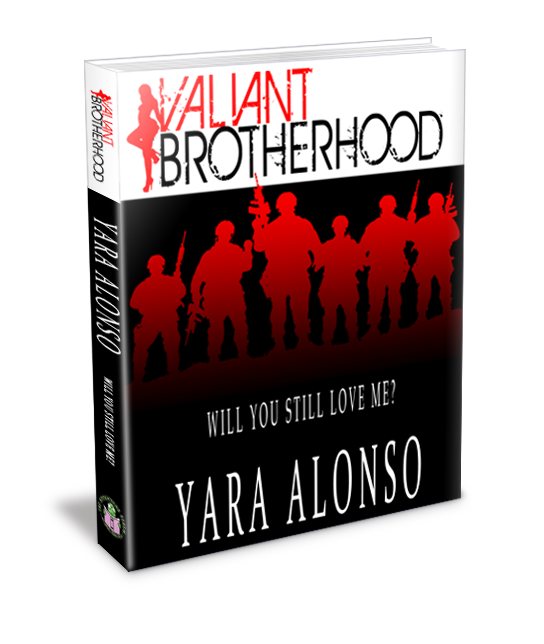 My Favorite Writer strikes again- YARA ALONSO’s second novel will be out soon! Yara Alonso writes for Bookworms Realm Digital Publishing. She gave us a taste of her talent when her debut novel, Cosmopolitan Series 1 : I Believe In A Thing Called Love became available through pay per view and kindle. Now, she will will be back to enthrall us with another bestseller and one sure excellent tale of love with her second novel (this time far from her usual chicklit genre as she will give us an action drama packed with kilig scenes) Valiant Brotherhood 1 : Will You Still Love Me (Lester Falcone). Is there really such a thing as two hearts drawn together bound by destiny? Lester Duane Falcone. Special Forces Ally. Unprecedented warrior. He lived and will continue to live for his past. His crusade involved avenging a violent childhood. But how would he carry out his plans if one look at the famous Julianna Rae dissolved everything else but his desire to make her all his? What if fate had a different plan for them? Will they make a memory worth remembering? Or will they forget what each of them struggled to accomplish for years and will succumb to unadultered passion and sizzling romance?